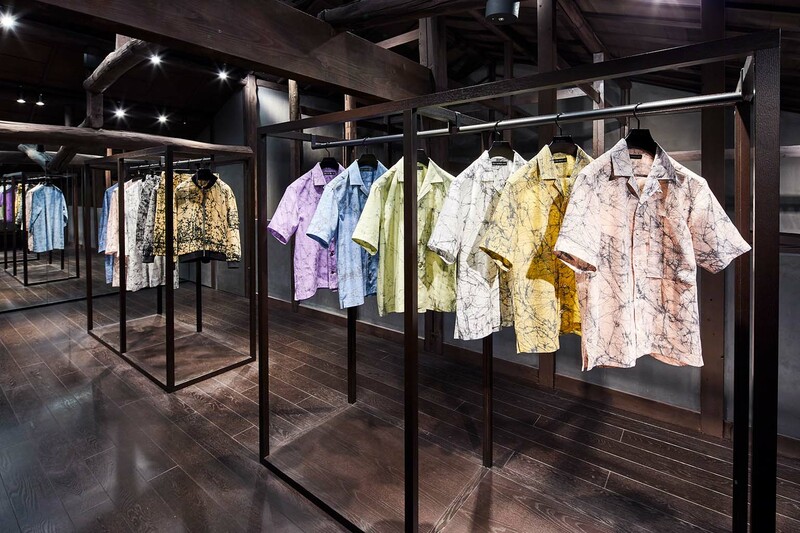 ISSEY MIYAKE KYOTOKURA Exhibition: ROUKETSU “WAX RESIST DYEING” | News | ISSEY MIYAKE INC. 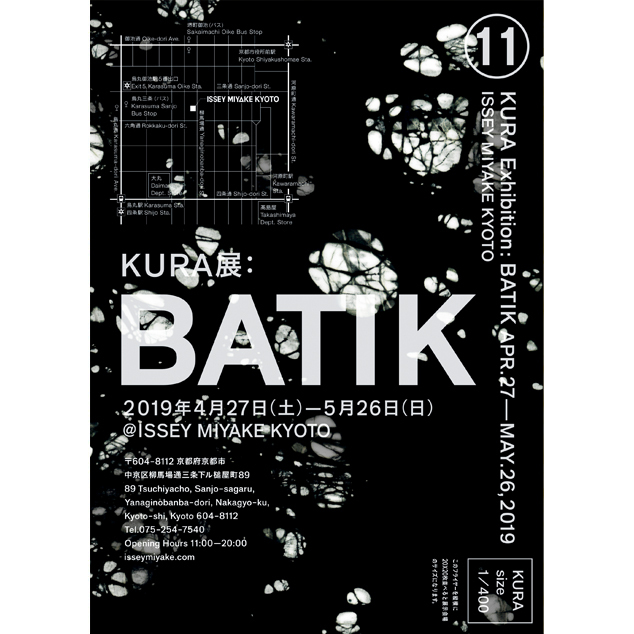 The KURA gallery of ISSEY MIYAKE KYOTO presents KURA Exhibition: ROUKETSU “WAX RESIST DYEING”. 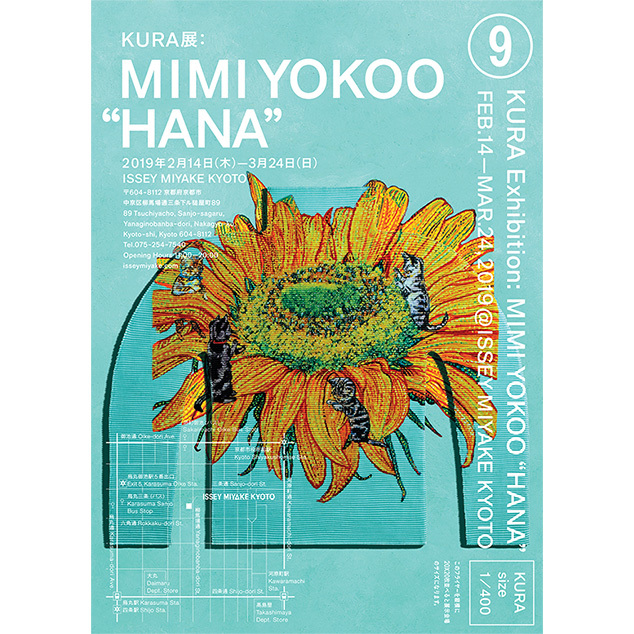 Kyou-kechi, also called itajime (board-tightened), is a resist dyeing technique that compresses fabrics between boards; kou-kechi, or shiborizome (tie-dyeing), is a resist dyeing technique that ties fabrics with strings; rou-kechi, or rouketsu (wax dyeing), is a resist dyeing technique that covers fabrics with wax. These three techniques were once popular in Japan during the Nara era and are referred to as san-kechi (three types of resist dyeing). ISSEY MIYAKE MEN learns from the spirit of the craftspeople who carried on these traditional dyeing techniques of san-kechi, as it engaged itself in creating clothing that meets the lifestyles of today. 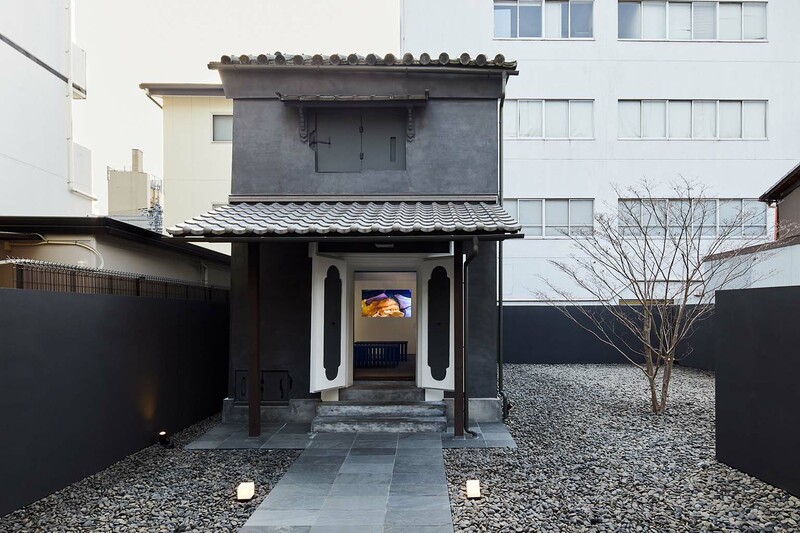 Of the three dyeing techniques, this exhibition looks at rouketsu (wax dyeing) and introduces the craftspeople in Kyoto with their skills that have been passed down from generation to generation. Rouketsu is the technique that applies wax onto the surface of a piece of fabric. After the wax hardens, the fabric is immersed in a dye solution. Only the areas of the fabric that are not covered with wax take colors and thereby create patterns. Craftspeople rely on their years of experience to manipulate the dye by fine-tuning the temperature and thickness of the wax according to the material of the fabric and the temperature of the day. 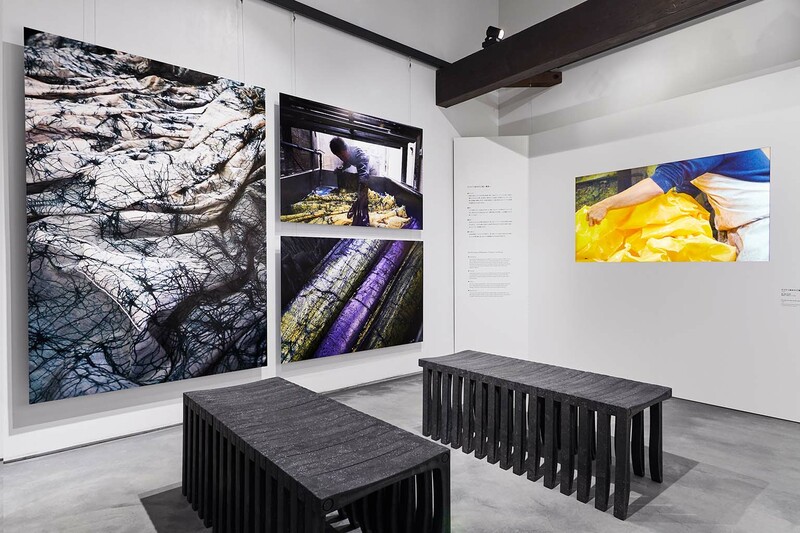 This exhibition presents the process of rouketsu, by showing the actual wax used in the process, a piece of fabric covered with wax, and a video of the dyeing process.